This book speaks to the challenges and opportunities of leading worship in a family-sized congregation, whether in rural, suburban, or urban contexts. 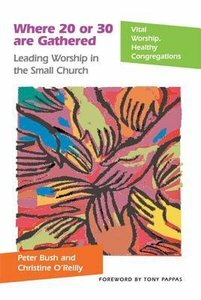 The authors discuss the characteristics of small churches, the variety of ways they are organized, the joys and challenges of worship and preaching in small congregations, and best worship practices. About "Where 20 Or 30 Are Gathered"
Peter Bush, presently a Presbyterian minister in rural Ontario, served St. Andrew's Presbyterian Church, Flin Flon, Manitoba, for seven years. Holding Masters degrees in both history and theology, he has published numerous articles on Canadian church history and is the editory of "Presbyterian History".